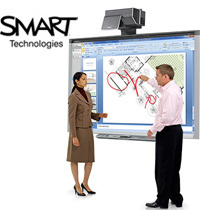 Smart Technologies are the worlds leading provider of interactive white boards, creating the worlds first interactive whiteboard in 1991. Smart technologies have been creating innovative products that improve the lives of students, teachers and business professionals everywhere for more than 20 years. Please check out our User Guide and Data Sheet section SMART User Guide . Good product & fast delivery.